I believe that we must be advocates for our own wellness; mind, body, and soul. It’s important that we learn to take care and nurture all aspects of ourselves in order to be a healthy whole person; inside and out. I am a multi-faceted person who has so many interests in life. You will see tabs above from Wellness topics, Inspirational writings, Photography, and Essential Oils. 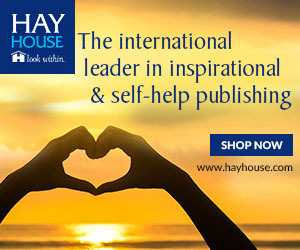 Spend some time on my website and absorb the energy of love and wisdom that is gifted to you through my words, whether reading about essential oils, wellness topics, or spiritual connections with inspirational wisdom. You can gather the wisdom for self-improvement or better by helping someone else. Be an active force of change for your life and listen to your mind, body, and soul with complete trust. Open awareness to your own instincts to guide you to transformation of your self with uplifting change and empowering choices for wellness. I use essential oils every day in my life along with healthy eating. I do have a gluten intolerance along with food dye and high-fructose corn syrup allergies. My eating life is limited, but my health has improved because of it. If you have any essential oil questions, please contact me as I would love to help you become as excited as I am about using them. I also embrace my spiritual side and you will find many posts that are inspirational and motivational. When I write a post, it is guided from a deeper place within myself. I am a vessel for which words of wisdom travel through to you from a higher, more spiritual place. Please feel free to try an intuitive reading from me as they are from a pure place of God’s white, divine light. Also, capturing the world around me in photos is a great stress release for me. I love to notice the beauty that fills our world and share it with you. Please feel free to explore my Photography tab and lose yourself in beauty and color. You can see a slideshow of a few of my images on the right sidebar. I am happy to be on this journey with you! Please feel free to interact and comment below any posts. I would love to share life’s wisdom and experiences with you! We are each other’s teachers.